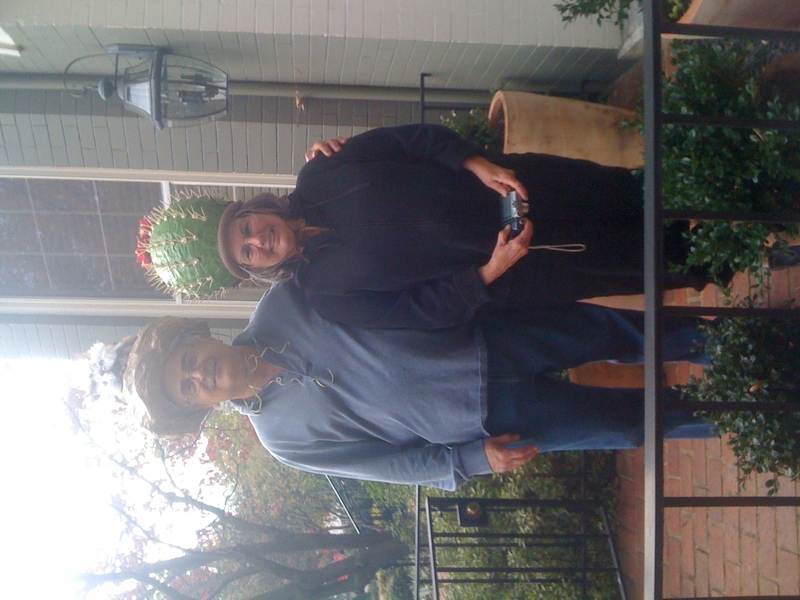 Satisfied customers: Mary and Jerry take a stroll in their Halloween hats. One of the skills I’m honing are odd hats (see above). 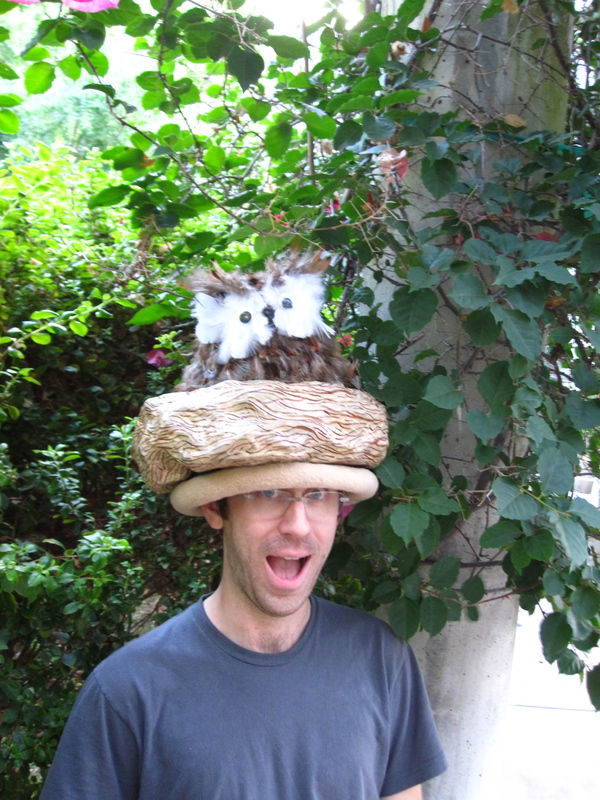 I made my first costume hat for a cupcake costume for Aprilween, but it didn’t make the cut when we had our first moving yard sale. I was surprised that someone would buy a hand-made hat, and they went on to order two more. Aprilween 2010: Betsey Johnson cupcake! One day, I promise I’ll make a better tutorial for one of these. It’s pretty much cover a balloon in paper mache, then go crazy. I can’t get more specific than that. The hat helps you communicate with other pointy plants. Photo by Chris Clanton. Justin sports a fashionable chapeau. Cactus tutorial: Part 1! Part 2! Part 3!